More food, more food adventures. Today's post will feature the spot my friends and I went to after we went to the new Starbucks Reserve Roastery & Tasting Room. 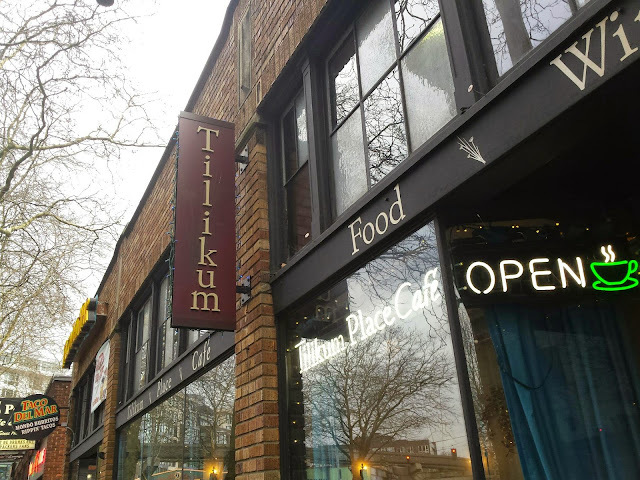 We were hungry and have always wanted to check out Tilikum Place Café and their popular Dutch Babies. They have a simple menu with different specials for different days. 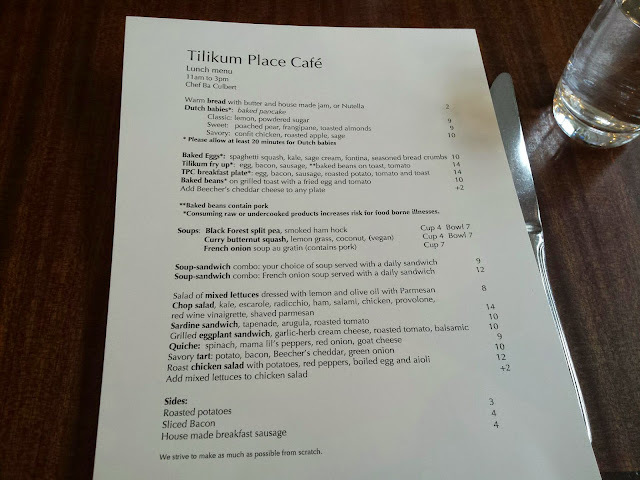 The place is actually really cute and we were lucky there was an open table when we got there. 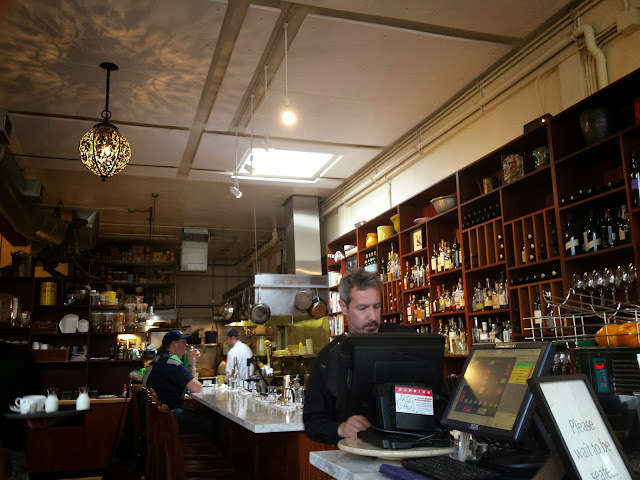 They have a small bar section filled with a variety of wine and spirits and a smaller dining area. This place is supposedly known for their 'Dutch Babies' and they take about 20 minutes to make. We all were intrigued by these items so we each ordered one. 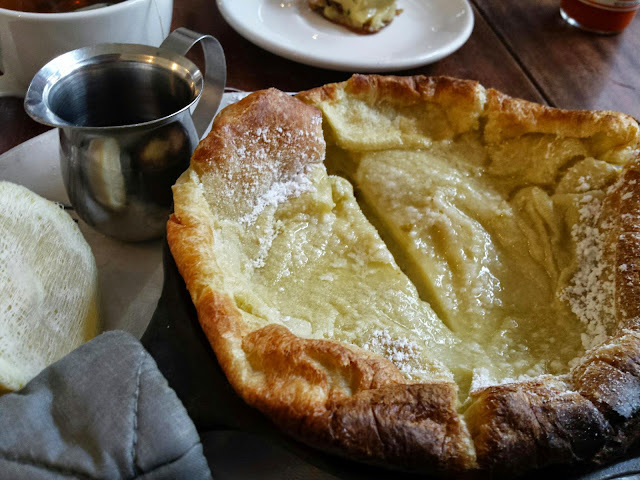 I had the Classic Lemon Dutch Baby and my friends both had the Savory Dutch Baby that had chicken confit, roasted apples, and sage. 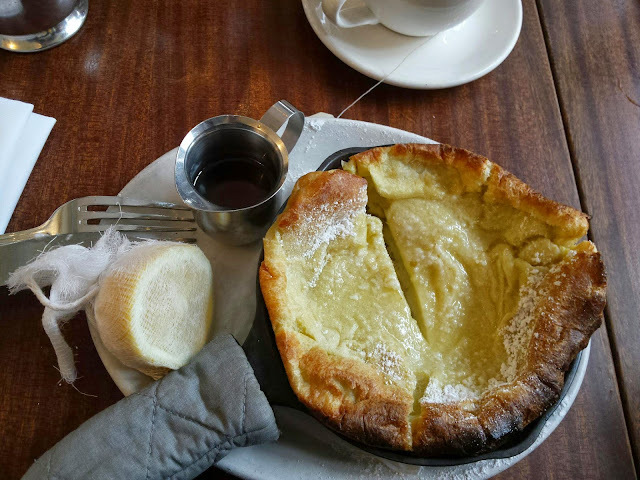 At first glance, the Dutch Babies looked really good and with the 20 minutes to wait, we thought it was be extra delicious. I liked my classic one way more than they liked theirs. It is basically a egg type batter that is baked slowly with powdered sugar on top. It came with half a lemon that you're supposed to squeeze on top along with some maple syrup. This tasted almost like a thick crepe to me and it was good, but not great. I expected way more from it. 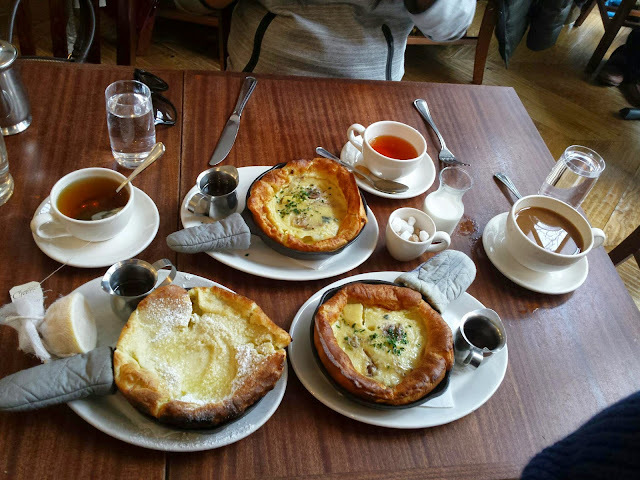 My friends Savory Dutch Babies were even MORE disappointing. There was hardly any savory bits to it at all and was basically all egg. If they added cheese into it, I think it would've been even better, or better yet, cheese and some potatoes. However, they didn't so they were left utterly disappointed. We saw some other dishes delivered to other customers that looked way more appetizing (like their special they had that day of a mushroom bread pudding) and we wished we ordered something else! I won't say don't come here since I would come again to try some other dishes, but I really don't recommend the Dutch Babies. Perhaps just the classic one or even the sweet one looked promising, but the savory one is a definite no-go. I'd definitely try their dinner or specials if I were to go here next time and give it another shot--hopefully it won't disappoint! Readers, have you ever tried or heard of 'Dutch Babies'? What are your favorite breakfast dishes? Let me know! Ooh, I truly craved pie after seeing this!! Did you know that you can create short urls with Shortest and make money from every visit to your short urls.